The Pirate Bay is one of the best known file-sharing brands and the site has a well-earned place in Internet history. The BitTorrent site and its founders have been targeted by several court cases over the years, and Swedish filmmaker and producer Simon Klose has documented part of this struggle. 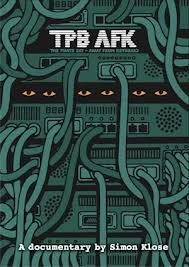 The result is TPB AFK, a dark documentary that follows the three Pirate Bay founders during their trials in Sweden up until the final verdict. The project started more than four years ago and today it premieres at the prestigious Berlin Film Festival. In a world first the documentary is available simultaneously on a BitTorrent tracker near you as part of the official release.